SANKAR P. CHOWDHURY. Sankar P. Chowdhury, born to a musical family in 1959, is one of Indiaâ€™s most respected tabla virtuosos and teachers. He is a disciple of the great master, Pandit Swapan Chaudhuri, a representative of the â€œLucknowâ€ gharana (school) of tabla playing. In addition to his concerts as an accompanist and soloist, Sankar spends two months each year in Basel, as a guest teacher at the Ali Akbar College of Music. HENRY NAGELBERG. Henry Nagelberg assists Swapan Chaudhuri during the annual seminars by leading the tabla review classes. Henry began his studies in 1975 with Latif Ahmed Khan and also received training from Jamaluddin Bhartiya. Since 1990 he has been studying with Swapan Chaudhuri during the yearly seminars in Basel. DANIEL BRADLEY. 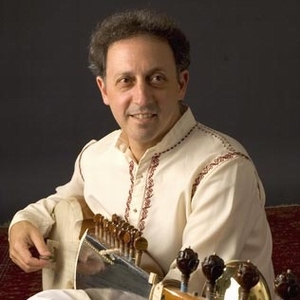 Daniel Bradley began his studies of the sitar in 1978 and worked with some of the most respected masters, including Nikhil Banerjee and Ali Akbar Khan. In recent years he has also been learning from Anapurna Devi, Ali Akbar Khanâ€™s sister and one of the most distinguished teachers of India. In addition to giving sitar workshops at the seminar, Daniel also reserves some time to do repairs on sitars, sarods and tanpuras. HAZAEL BONHERT. Hazael Bonhert has been a student of Pandit Swapan Chaudhuri for many years and has taken lessons with the maestro during the annual seminars in Basel, at the Ali Akbar College in Calfornia and in India. A resident of Strassbourg, Hazael has recently begun teaching the beginner tabla students at the College and preparing them for their lessons with Pandit Swapan Chaudhuri and Sankar P. Chowdhury.